The Thomas Mofolo Prize for Outstanding Sesotho Fiction was launched by South Africa’s Geko Publishing on February 6, 2019. 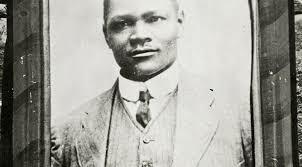 Thomas Mokopu Mofolo, born on 22 December 1876, in Khojane, Leribe, Lesotho, is the most important writer in the Sesotho canon. With the penname Thomas Mofolo, he pioneered African literary tradition with Moeti wa Bochabela in 1907, Pitseng in 1910 and Chaka in 1925. Chaka is his most famous contribution as it is the biography of Shaka the founder of the Zulu Kingdom. The library at the National University of Lesotho is named in his honour. Geko Publishing announced the establishment of the inaugural Thomas Mofolo Prize to honour Outstanding Sesotho Fiction writers from the continent and abroad. The winning manuscript will be announced at a ceremony in Johannesburg in December 2019 with a publishing distribution agreement with Geko Publishing on the cards. The published manuscript, will be released and launched early next year when the Prize accepts submissions for 2020. Further to this, the winning manuscript will be submitted to Sol Plaatje University’s Creative Writing Summer School in Kimberley. The Sol Plaatje University reserves the right of admission to its Summer School. The applications for manuscript writers opens in March of every year and closes in July. All manuscripts, enquiries and information requests should be directed to mofoloprize@gekopublishing.co.za. Previous Previous post: Residencies: Efe Paul Azino, Heran Abate, and Joseph Kaifala. Next Next post: Afropolitan Festival 2019 hosts Asmara-Addis Literary Festival (In Exile) 2019.